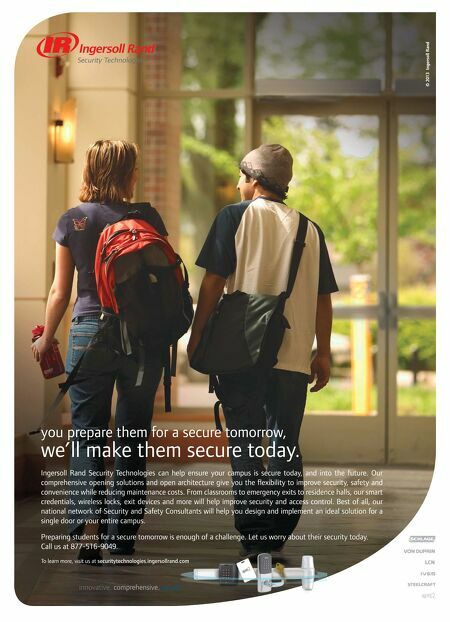 © 2013 Ingersoll Rand you prepare them for a secure tomorrow, we'll make them secure today. Ingersoll Rand Security Technologies can help ensure your campus is secure today, and into the future. Our comprehensive opening solutions and open architecture give you the fexibility to improve security, safety and convenience while reducing maintenance costs. 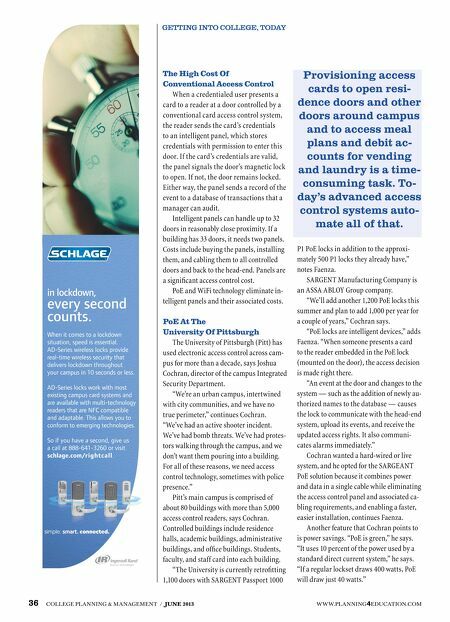 From classrooms to emergency exits to residence halls, our smart credentials, wireless locks, exit devices and more will help improve security and access control. Best of all, our national network of Security and Safety Consultants will help you design and implement an ideal solution for a single door or your entire campus. Preparing students for a secure tomorrow is enough of a challenge. Let us worry about their security today. Call us at 877-516-9049. To learn more, visit us at securitytechnologies.ingersollrand.com innovative. comprehensive. secure.